Sandhurst Indoor Bowls Club has two resounding victories this summer when they won “Sand June League” and the “One Mat Summer League”. They beat off 5 surrounding Indoor Bowls Club at both events. 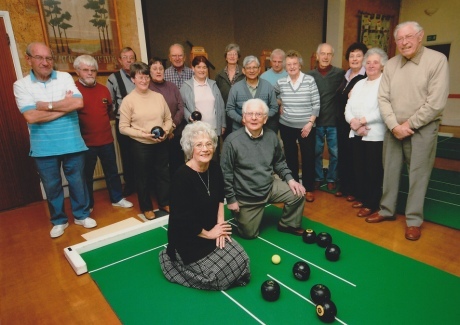 Sandhurst Indoor Bowls Club meets at the Sandhurst Memorial Hall and although quite competitive is also very friendly and informal. They play at many venues allowing you to meet many new friends. They also have many social members who like to come to the club to have a chat with friends. There is a great deal more to know about the Club so if you are interested in joining, please telephone Ann Glaister on 01276 – 34774. You don’t even need your own bowls as they can supply them and the 1st session is free.